First off, let’s have a look at the guts of the Varidrive. In order to access the LED for replacement, you’re going to have to unscrew the board from the enclosure. 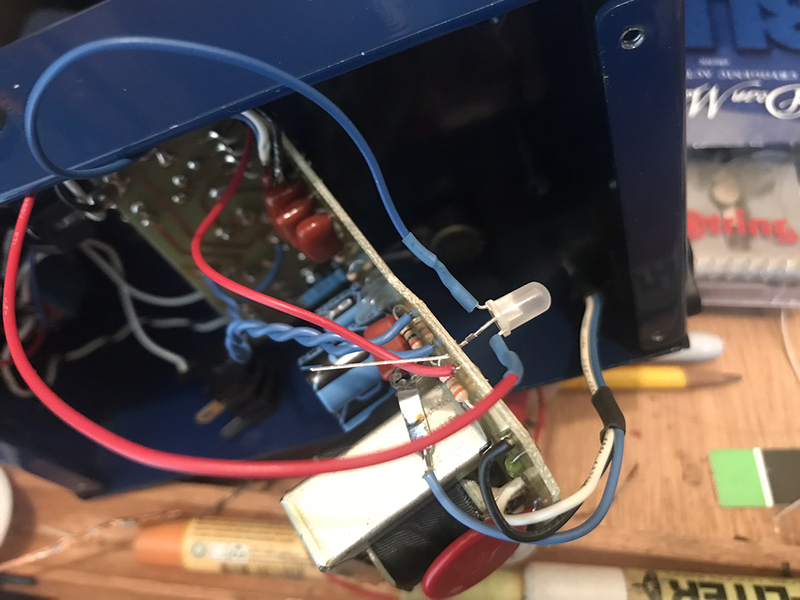 Be careful here, because the screw holding the ring terminal next to the transformer has multiple nuts on it and runs through the face of the pedal, opposite the screws on the inside. I managed to shear off the phillips head torquing it too hard, instead of removing the nut first. A single LED can show more than one color. Hell, they can show the entire spectrum, which is how an LED TV works. 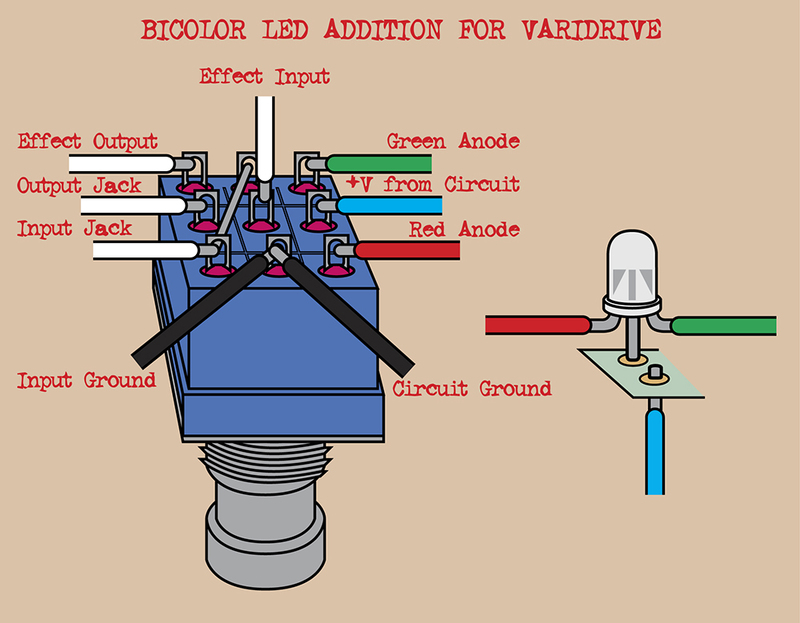 But here we’re just gonna have two colors on a bicolor LED and switch between them. They come in different flavors, but here’s the one I got. 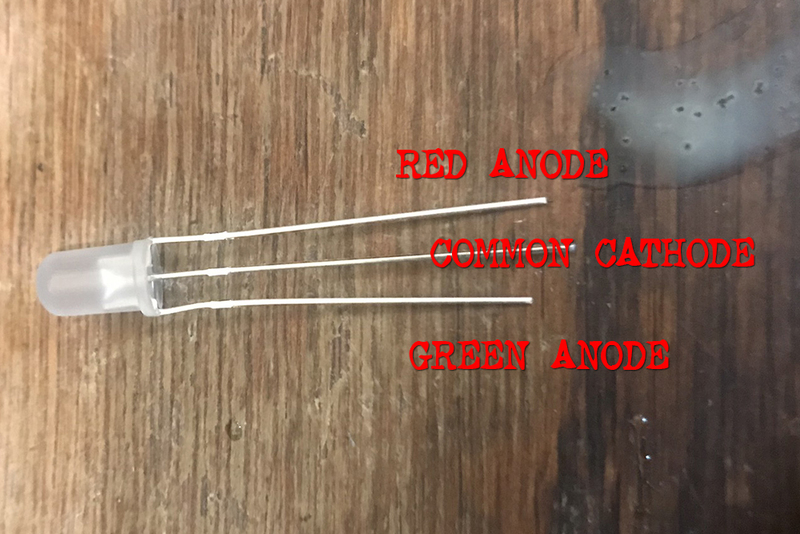 It’s a red LED and a green LED that share a common cathode (the negative). So, we just have to replace the existing LED on the circuit board. It’s a little tricky, because they SIB! engineered the LED placement on their circuit to stand at a certain height so it will be visible through the hole in the enclosure. So, you gotta make sure to replicate that with the new bi color LED. I’ve run leads from the anodes and put heat shrink around them to be on the safe side. The positive power rail also has a lead that will connect to the anodes through newly wired 3PDT switch (replacing the old DPDT). Make sure you’ve got the cathode in the right hole! I tested the polarity with another LED with the pedal on. BE CAREFUL DOING SOMETHING LIKE THAT! 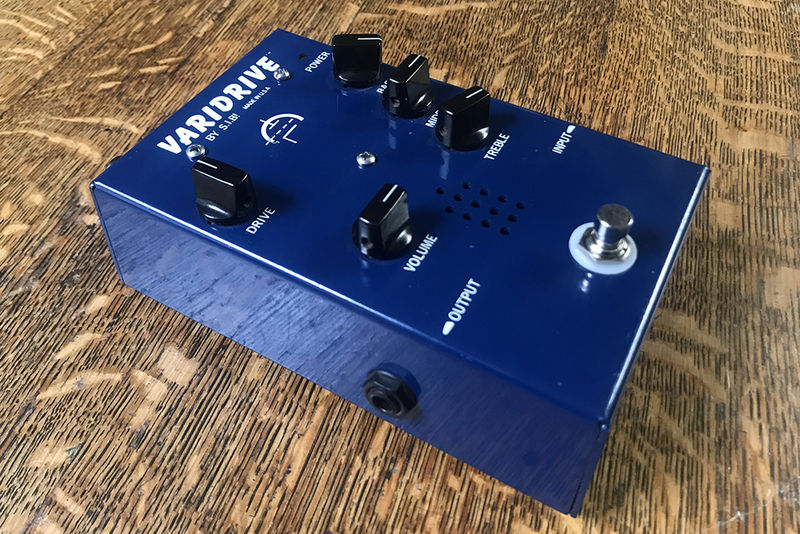 This pedal is running high voltage AC! 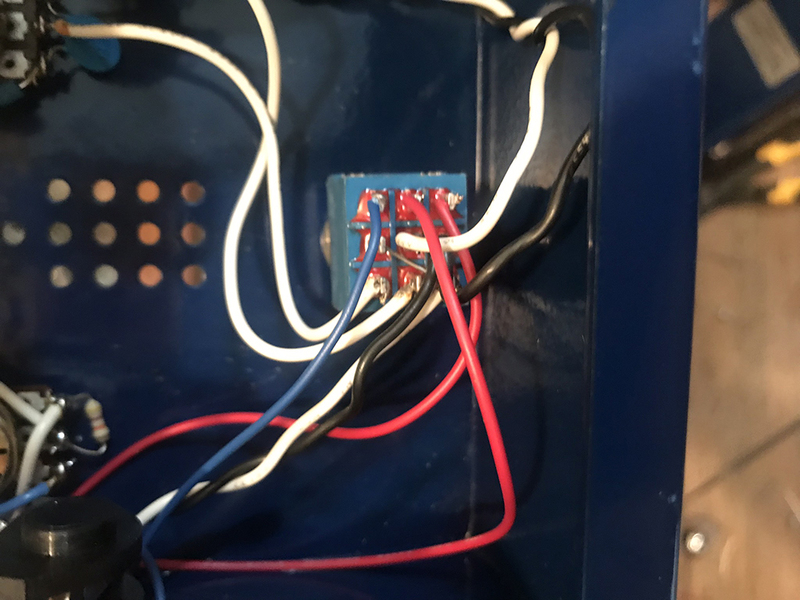 Or, just look at what I did, and you can see the hold towards the transformer is +, and the hole towards the footswitch is -. The new 3PDT wiring looks a little confusing and it’s probably not helping that I ran out of green colored wire to help indicate what went where. And SIB! 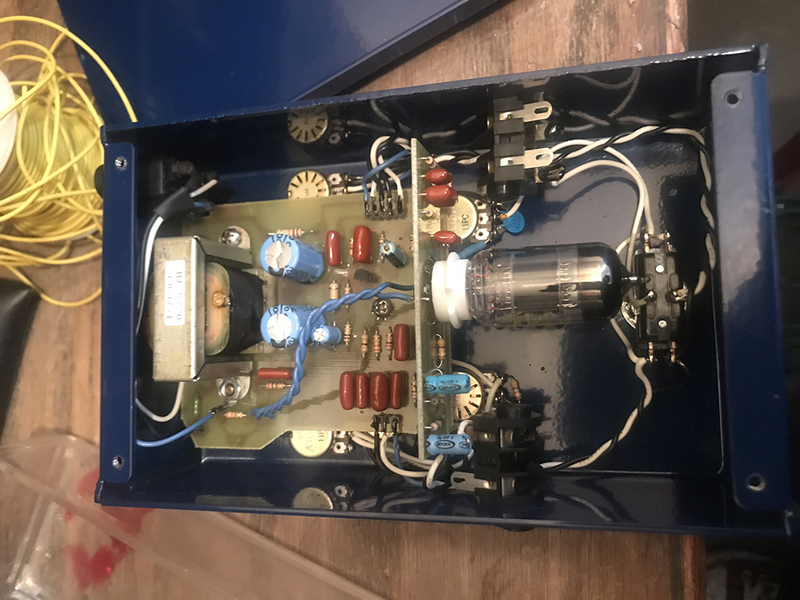 uses all white wire for every signal path! Lucky you, I drew up this much more clear diagram of what to wire where.